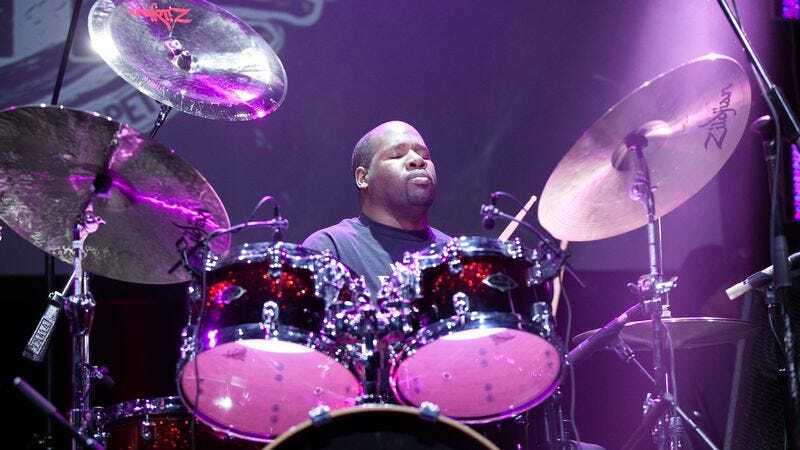 As reported by Billboard, longtime Prince drummer John Blackwell Jr. has died. Blackwell was diagnosed with multiple brain tumors a little over a year ago, causing him to lose the use of one arm and leg, and he had been undergoing treatment since then. He was 43. Blackwell was born in South Carolina in 1973, and his father—who was also a musician—taught him how to play drums when he was just a kid. He reportedly experienced synesthesia and had perfect pitch, and he started playing at jazz clubs when he was just a teenager. He later attended Berklee College Of Music, but he dropped out when he got a job playing for Cameo in 1995. John Blackwell later moved to Los Angeles and began playing with Patti LaBelle, appearing on her Grammy-winning album Live! One Night Only, and it was while working with LaBelle that he met Prince. In 2000, Blackwell joined Prince’s backing band The New Power Generation, playing with them for the next 12 years. He appeared on the instrumental N.E.W.S. album and Live At The Aladdin Las Vegas. Over the years, Blackwell also performed with Justin Timberlake, Crystal Kay, Diddy, D’Angelo, and Bootsy Collins.